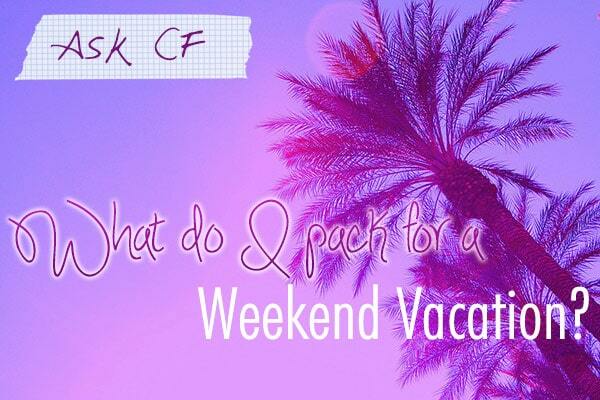 Ask CF: What Do I Pack for a Weekend Vacation? I am planning a weekend getaway with a big group of friends to a warm-weather city known for its nightlife and tourist attractions. During the day, we will be doing lots of walking and lounging by the pool. At night, we’ll be clubbing and restaurant-ing. I have no idea what to wear, or pack for that matter! Any ideas would be much appreciated! Great question! One of the hardest things about packing for a trip to a fun vacation destination (like Las Vegas, for instance) is that, as you mentioned, a day can consist of many different activities. You might start your day at the pool, do some shopping, then head out for dinner, and finish the night with clubbing. With all of these things to do, it can get complicated to pack your suitcase, even just for a few nights. To help you out, I have created four outfits inspired by some of the most popular warm-weather vacation activities. Enjoy the outfits and have fun! P.S. Make sure to bring extra pillows, blankets, sleeping bags, and towels if you are sharing your room with lots of people. I made the mistake of forgetting my pillow and blanket once on a trip and had to use sweaters for my pillow and a scarf for my blanket. Not one of my proudest packing moments. P.P.S. For those of you going to other destinations, check out our post on what to pack for weekend trips; that article includes guides for trips including camping and visiting friends at their schools. 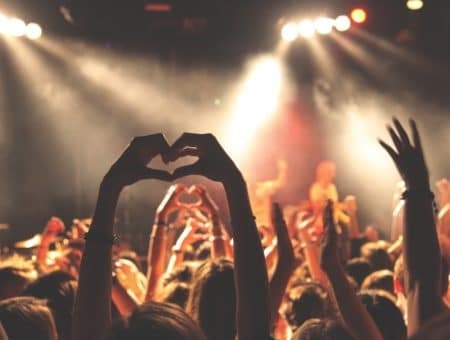 When you’re vacationing with friends, you’ll likely spend most of your day sightseeing and doing all the fun, touristy things that your city has to offer. Depending on your destination, this may include shopping at cool local boutiques, strolling on the seaside esplanade, or lunching and brunching at fun little cafes. Either way, you’re going to be on your feet, so dress accordingly! No stilettos allowed. 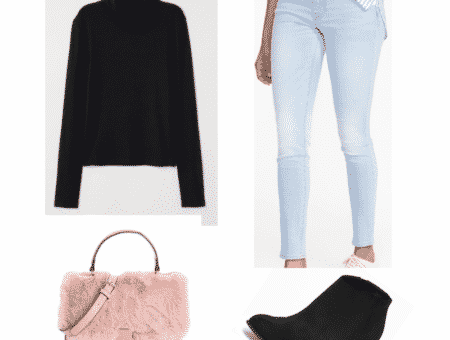 For this outfit, you will want to wear something comfy because you will be walking a lot. This mint-colored romper is an easy piece to wear. Keep the look simple with some accessories. I am really loving this collection of rings and these spade post earrings are so glittery and fun. Finish the look with some lucite sunnies, neutral sandals, and a bright bag to add in a pop of color. You mentioned you’ll be spending some time at the pool, and you’ll want to look your best here, too. I am in absolute love with this swimsuit from H&M. For your coverup, a drop waist dress is a simple answer. Add on a straw fedora and some aviator sunglasses and you’ll be ready for a day spent lounging under the cabana. For this look, I chose this black and white form-fitted dress. Next, I styled the dress with some black chandelier earrings and a pair of black wedges. Since you’ll likely be on your feet either dancing in a club or walking from bar to bar, you’ll want to wear your comfiest going-out shoes. Complete the outfit with a floral printed clutch, some simple bangles, and a dramatic smokey eye. As you mentioned in your letter, it sounds like you and your friends will likely want to spend one of your nights grabbing dinner and drinks somewhere fab. When you’re going out with the ladies, you’ll want to look cute and classy, but still fun and trendy. And of course, you don’t want to wear anything too tight if you’re going to be indulging in some delicious food and drink! We like to think of vacation as the perfect opportunity to dress the most “fabulous” version of yourself. You’re in a new place, away from your normal life, and this freedom gives you a great excuse to embrace extravagance and to take fashion risks that you might not otherwise take normally. For this look, tuck a shoulder-bearing top into a green, floral-printed skirt. Next, bring in some added color to the look with some sapphire blue posts, banana yellow bag and metallic heels. Finally, swipe on some winged liner and get ready to hit the town! Do you have any short vacations planned with friends? If so, what are you packing? What are your favorite weekend vacation destinations? What do you think of the outfits I created? Do you have a favorite? Please let us know what you think by leaving a comment below!